Stockport Council and Good Things Foundation have confirmed that there will be a second round of ‘activation grants’ open to groups and organisations who want to support people in Stockport to get online. Grants of £1500 are available to DigiKnow partner groups who commit to helping to support people to develop their digital skills and confidence. Councillor Elise Wilson, Cabinet Member for Reform and Governance at Stockport Council said: “We have resolved to help 5,000 residents to get online and develop their digital confidence by 2020 and to do this we plan to deliver digital skills training in trusted community settings where residents will be most open to new learning opportunities. 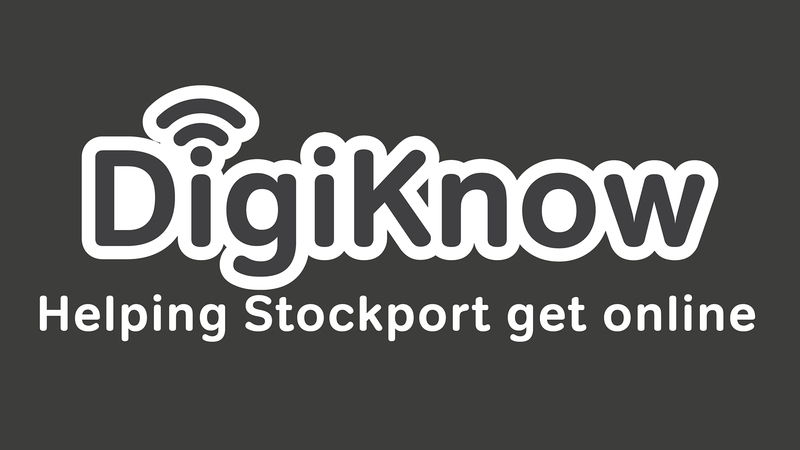 For the opportunity to apply for a one-time £1500 grant, groups should join the Stockport DigiKnow network of Online Centres by contacting Good Things Foundation at: hello@goodthingsfoundation.org. Grant applications will open on Monday 3rd December 2018 and close on 24th January 2019. You can find out more and apply for this grant by visiting the Online Centres Funding page after the 3rd December 2018. If you are already part of the DigiKnow network, please submit your application as soon as you are able, however, if you are already receiving an activation grant or any other funding from Good Things Foundation, you are not eligible to apply for this grant.